For years women have used lipstick to make their lips look smaller, bigger, fuller, and smoother, etc. Did you know that there is a way to apply lipstick so that your teeth look whiter? Just one more reason to arm yourself with your favorite tube every day before your wedding day! Check out these lipstick secrets for whiter looking teeth! Prior to applying the lipstick there are three steps you should take to keep color on your lips and away from your teeth. Smooth-Exfoliate your lips once every few weeks. Use a simple sugar and lip balm paste that you can make at home. Gently rub the paste over your lips for a few seconds and rinse. This will help the lipstick go on easy and stay longer. Brush-Establishing a good oral health routine can do more than just ward off cavities. Brushing your teeth helps remove food particles and plaque build-up, making it harder for lipstick to stay to your teeth. You definitely want to avoid lipstick stained teeth! Repel-You can always use petroleum jelly if your teeth attract lipstick. Just take a small amount on your finger, apply to your front top and bottom teeth and it will repel the lipstick. Do the finger trick! – after applying lipstick, take your pointer finger and put it your mouth, close your lips and slowly pull out your finger, this will make sure that any lipstick residue on the inside of your mouth is removed. Lipstick is a great way to add color, show your personality and bring your make-up together. However, choosing the right shade can also enhance your smile. Just Say NO - Yellow, Orange, Brown—These colors are not the way to show off a whiter smile. These shades (and colors with these undertones) can bring out stains in your teeth. You should also avoid colors that are close to your skin tone. Go For It! Red, Berry, Plum—Bright, bold colors are just what you’re looking for to create a brighter smile. These colors give a contrast from your skin tone and really make your teeth look whiter. Crimson and fuchsia are hot colors for 2013, but if you are too modest to go this bold you may want to try a plum or berry first. There are so many variations of these colors you are sure to find one made just for you! Now that you know how to prep your lips and which colors are best, here are 5 steps to award winning application. Prime-Using a quality lip primer will help your lipstick stay longer and look smoother. This gives you the look you want for hours. Line-It’s important to purchase a lip liner that matches your new, bold lip color. Apply the liner to the edges of your lips as well as the outer lip area. This gives your lips a deeper color and won’t leave lines around your lips once the lipstick begins to wear off. Blot-This is one of the first things most people learn about lipstick application and it still stands firm in helping the color last longer and stay off of teeth. A best practice is to apply a second lipstick application after your first blot and then blot again for deeper color. The Big Finish-After blotting you will definitely want to finish up with a clear lip gloss to enhance all of your hard work. The glossy look will bring everything together for a look you will love. Applying lipstick may be something that you do every day or something you do only for special occasions. Either way following these steps will enhance your already beautiful smile and give your teeth that bright white look you’re going for. Now all you need to worry about is enjoying your special day! This article was written exclusively for musicboxinvites.com by Bennett Family Dentistry, a team of dental professionals offering general and cosmetic dentistry services. Your wedding album is a photographic record of perhaps the most special day of your lives. It’s certainly something that you’ll want to cherish forever, but more than that it becomes an important part of your family history which can be passed down to your children and their children. Memories can fade over time, but photographs endure; that’s why choosing the right wedding photographer is a decision you have to get right. So what is the best way to make your choice? Well, as with any big decision or purchase, you need to do your research thoroughly and shop around for the best deal. But of course when it comes to your wedding photographer, it’s not all about getting the best price. The best deal will not only come at a price you can afford, but it will deliver the style and quality of photography that you’re looking for too. Wedding fairs are a great way to look for a wedding photographer as you’ll be able to look at several at the same time and view their portfolios to see if they’re to your taste. If you can’t make it to a wedding fair, you could search online or go by personal recommendation, but no matter how you find them, make sure you ask your wedding photographer to show you several complete albums so you can verify that their standard is consistently high. Choosing a photographer whose style is fairly traditional is best as gimmicky shots will quickly date, so keep it classic and timeless. 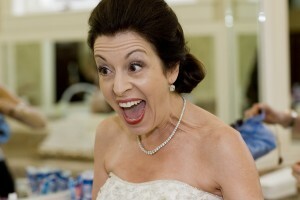 It’s vital to book your wedding photographer well in advance. The best photographers are constantly in demand and could be fully booked for a year or more. Arranging your photographer early also gives you a chance to get to know each other and plan your shots to that everything goes smoothly on the day. How many images or how much of the photographer’s time do you get? Will the photographer retain copyright on the images? If so, you’ll have to order any reprints through them so how much will they cost? How will the images be supplied? Many couples like to have a copy of their pictures on disk or on a website for easy sharing with guests. Are there additional charges? Do they have professional indemnity insurance in the event that anything goes wrong? Above all when selecting your wedding photographer you need to feel comfortable with them and know that they understand exactly what you want from your photographs so that when the big day arrives you can be confident that they’re going to deliver an album you and future generations can treasure. 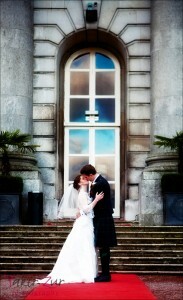 Yakir Zur is a wedding photographer in Hertfordshire who captures your special day for you to treasure forever. How to Avoid a Wedding DJ Disaster! Your wedding budget is tight, and you’re thinking about saving a few dollars by hiring a relative or friend as your wedding DJ; or you’re doing it as a favor to him. You think, what could possibly go wrong? Well here are some things things that have happened to brides so that you know what questions to ask BEFORE you hire them and have a DJ Disaster. Does he have a backup if he gets sick or has an accident on the way to the wedding? Does he have backup equipment in case his breaks? Most venues won’t allow a DJ without liability insurance to perform, does he have liability insurance? He gets a better offer three days before your wedding and he said you didn’t need to sign a contract. Are you prepared to begin shopping for a DJ during the busiest week of pre-wedding chaos? A guest gets a little “over-served” and decides he should be the center of attention by dancing on a wobbly table top. Does your DJ know how to handle it? Will a friend or relative have the courage to tell you the music you picked is not dance-able or boring, while there’s still time to fix your request list and make the reception more fun? A professional DJ is trained to how to handle all of these and many other potential party-killing situations, and ensure that the bride doesn’t leave the party room in tears. Will an amateur DJ know what to do? Do you want to trust him — and gamble your friendship — just to shave a few dollars off your wedding bill? There are many better ways to save money while ENHANCING your guests’ experience instead of destroying it. Start here. Fourth Estate Audio has been a professional Chicago DJ and Chicago Wedding DJ company since 1965. The wedding reception is a traditional part of the overall wedding experience, but this doesn’t mean you can’t get creative with it. There are a number of inexpensive steps you can take to make your reception memorable instead of boring and bland. Receptions are all about energy. The more energy, the better. The less energy, the more people get bored and sneak out. 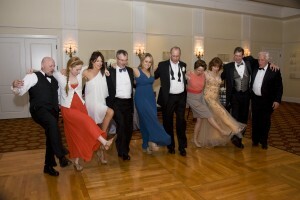 One way to crank up the energy is to bring in performers hidden among the guests. I’ll give you an example. I attended a wedding in 2011 that was very traditional. Both families were fairly conservative and, well, it was boring as sin. Then two guests on the dance floor started arguing. Before we knew it, they were pushing each other and things were livening up. Just when it looked like there was going to be a fist fight…they grabbed each other, create a human circle and started doing acrobatic rolls across the floor like something you see out of Cirque du Soleil. It was amazing. The two “combatants” were, in fact, acrobats hired by the groom. It was a complete surprise as they were dressed in suits and a huge hit with the guests. I still tell people about it today nearly two years later. Another version of this I have heard about, but not personally experienced, involved a wedding where an older aunt came up to the microphone to give her blessings to the married couple. Suddenly, she started belting out some romantic song in an operatic voice. Turns out she wasn’t an aunt at all. She had been hired by the newlyweds. Bringing in such people must be expensive, right? No. You would be surprised. Performers will come in and do their thing for a couple of hundred, but the effect is priceless. You can bring in singers, magicians, comedians, dancers or pretty much anything you can think of. If you have to, skimp back on the reception. Which do you think your guest would prefer – rubbery chicken or an amazing act? As a cheap alternative, pick out a few guests you know can sing a couple of weeks ahead of the wedding. Ask them to sing a “flash mob” song at some point in the reception. Before you know it, you will have a bunch of guests joining them and you have a reception that is hopping. To go the extra step, consider projecting the images on a screen or wall. People will love it! If there is one thing that stops a guest cold at a reception, it is photos of the bride and groom from the past. For the most part, your guests are family and friends. The photos will bring back a host of memories. People will laugh. People will mist up. The memories will have them appreciating their relationship with you and how far things have come in both your lives. A definite must. A “great” wedding reception is not necessarily an expensive one. You can add small twists like these without shredding your budget. The key is to get creative and think outside the box. The above suggestions are a good place to start. Guest Blogger, Riki Bynes is a wedding blogger with TopWeddings.com – where you can get other wedding ideas and supplies. 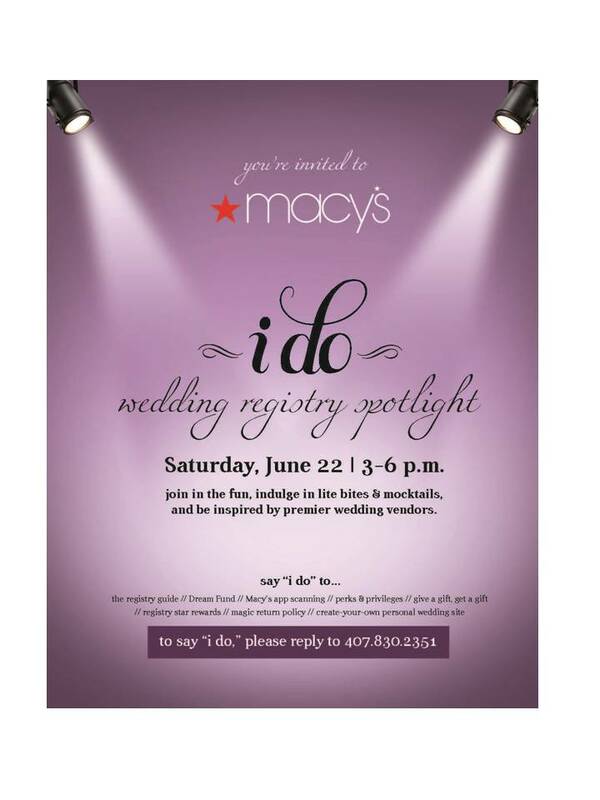 Music Box Invites is one of the select premium vendors to be included in the Macy’s I DO event on Saturday June 22nd. 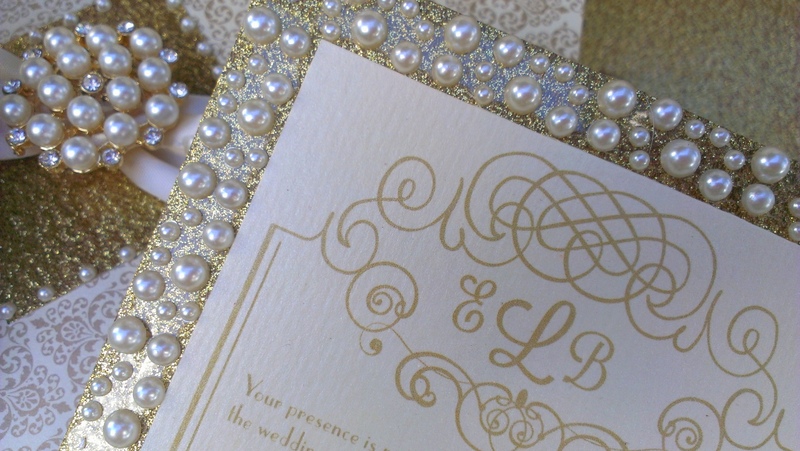 Music Box Invites will be featuring their celebrity inspired custom Musical Wedding Invitations. They will offer any couple who pay their art fee at the show a 20% discount on their entire order OR their choice of FREE Save the Date or Thank You cards to match their wedding invites. In addition, they will have special secret prizes. Lite bites and mocktails will be provided. Any bride who wants to attend, can register by calling 407-830-2351. 1. Decide whether you want a veil or not – not every bride wears a veil these days, especially older brides and ones getting remarried. You might want to consider a unique headdress instead. For example, Heirlooms Ever After customizes head pieces for brides that not only match the gowns but also can carry sentimental value. Their Duet collection features the bride’s own family heirloom jewelry incorporated into the bridal headdress and it can be removed safely after the wedding day. For example, they are currently completing a headdress for a bride whose Grandmother passed away last year and left her a brooch. They are incorporating this into a side tiara for her so that the memory of her Nan will be with her every step down the aisle and in the photographs too! Or you can choose from one of their designs with one of their stunning sterling silver Marcasite brooches that can then be removed after the day and worn again. And their Emily design also converts into a fresh water pearl bracelet and has a removable brooch! 2. If you do decide on a veil, the first step is to know your face shape - The veil depends very much on the shape of the face of the person who would be wearing it. 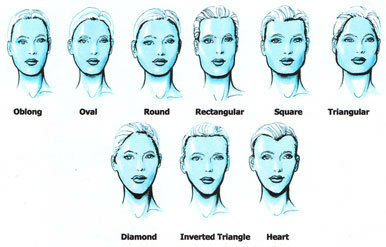 Basic face shapes are Oval, Round, Oblong, Heart, Diamond, Square, Rectangle or Triangle. While the first four shapes are soft and curved, the last four have more angular cuts. Pull your hair back and see which image below best matches your face shape. And remember opposites attract: for example, if you have a round, full face you can wear a veil that falls along the sides of the face to make your face look narrow. 3. Next consider your body type. A tall bride can wear a veil that is more commanding while for a petite bride, the best purchase would be a very fluffy veil with a large pouf. And brides with thick waist line should go for an asymmetrical veil that cascades varying lengths of tulle down the back. Before purchasing try the veil and check yourself in front of a full-length mirror to ensure that the proportions are right. Examine the veil from all angles as one that might suit you from the back might not look that flattering from the front. 4. Make an appointment with your hair stylist to decide what bridal look suits you best. A hair stylist can give you an idea about what type of veil or headpiece will work with the way your hair would be styled on your wedding day. Discuss using a headpiece instead and show them styles you like. This beautiful hairstyle is all about the headpiece. 5. Remember the details of your gown – does it have lace, beading, etc and try to make sure the veil or headpiece compliments and doesn’t clash with it. Of course, the best way is to try the headpiece or veil on with the dress but that is not always possible – especially if it is being custom made. Provide the maker with as much information and pictures about your gown as you can. And again, opposites attract, if the gown is simple, the headpiece can be more elaborate but if it is already embellished, go with a simple veil or headpiece so it doesn’t over power the dress. Any sort of ornamentation on your veil should start below where your dress embellishments end. 6. Another new trend is a traditional veil for the ceremony and then change the hair for the wedding – see these beautiful combs that can be added to your hairstyle after the veil comes off. Months of planning. Finding the perfect dress. A beautiful day filled with emotional once in a lifetime moments. You have decided that it should be captured forever with a beautiful video. Now what? How do you decide on a videographer for your wedding? Most people aren’t sure where to start when evaluating wedding videographers. So we have put together this helpful list to get you started in choosing your videographer. First of all, with all vendors you should compare THREE vendors. 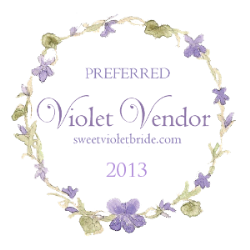 You should ask recently married friends if they liked their vendors and get the names of those they LOVED. You can also check The Knot, Wedding Wire and other online wedding places to see who the local vendors are and what their reviews were. Then narrow your list down to three and ask them all the same questions. A good plan is to put the questions on an excel spreadsheet and then jot down their answers so you can compare the three item by item. 1) How professional is he – Make sure the videographer you hire is licensed and insured. Liability insurance not only protects the videographer, but you, too. Many venues, in fact, require their vendors to carry a certain amount of liability insurance. If someone trips on a piece of equipment, or the venue is damaged, you could be held responsible. 2) What questions does he ask you to form a relationship – You should always try and meet personally with your wedding videographer to make sure that you are comfortable with them. You are going to be spending one the most important days of your lives with this person, who will be close by documenting it. The more your videographer knows about you, your fiancé, and your ceremony, the more personal you can expect your video to be. See if the videographer is asking YOU the right questions and making sure he is going to film what is most important to you. 3) How much experience does he have – Make sure your videographer is experienced with shooting weddings. Someone fresh out of film school may be an extremely talented videographer, but may have a complete lack of understanding on how to document a wedding properly. Ask how long they have been in business, how many weddings has he done. Who are his other clients. For example, Unity Event Videography spent years working for Disney on their Fairytale Weddings and completed over 1,000 wedding videos. A company like Disney does a lot of research before they hire someone to represent them. 4) What is his Style – There are several ways of documenting a wedding. Ask to see at least ONE sample of a completed DVD that was delivered to a customer. That way you can get a better idea of the videographer’s style instead of making a decision based on selected demo clips. 5) Does he shot in HD (high definition) – Great equipment does not necessarily make for a great wedding videographer. It is really about the videographer’s ability to capture the special moments of your wedding and to tell a story. But HD cameras do make a difference in the picture quality. In addition, HD cameras allow for your video to be viewed properly on wide screen televisions. 6) What type of Audio Does he use? – The reason everyone got dressed and showed up to the party was to hear you and your fiancé profess your love and commitment to one another through the exchanging of your vows. Unity Event Videography uses two small wireless microphones placed on the officiant and the groom to capture every precious word. 7) Last of all, What is His Price – Professionals will not always be the cheapest because of the investment they have made into their business, their equipment, and their education. You can find “bargains” on Craigslist, which reminds me of something my mother might tell me: you get what you pay for.uses two small wireless microphones placed on the officiant and the groom to capture every precious word. Unity Event Videography is owned and operated by Bill and Rachel Carnicelli. With over 20 years of video production experience, they promise to treat your special event with the care and respect that it deserves. For more than six years, their company produced over 1,000 wedding videos for Disney Fairy Tale Weddings in Orlando. You can bring their expertise, trusted by Disney, to your wedding day. 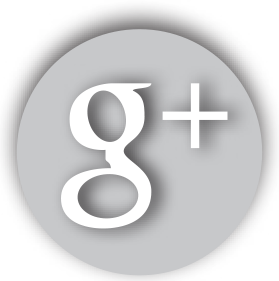 Their company is a licensed, insured Florida corporation. Nationwide criminal background checks are performed on all employees, and even the owners, for the protection and peace of mind of our clients. The choice of good luck gifts that you can give to a bride is something of a bizarre collection really Horseshoes, spoons and old sixpences! If you’ve ever wondered what’s behind these strange traditions, here’s your chance to find out. Looking at each on their own, they really are strange objects that are supposed to bring good luck, and yet these three make up more than 75% of the good luck tokens given to brides in the UK over the last decade. It’s actually quite unlikely that more than a third of those either giving or receiving really know why they are supposed to bring luck to the new bride, but we all recognize them and we all know that they are the right gifts to give. They are frequently so beautifully decorated and presented that no-one thinks about their real meaning. They’re traditional, and that’s good enough. When it comes to horseshoes, there is more than one story behind the reason for them being symbols of good luck, and all of the stories go back beyond the mists of time. They have certainly been a symbol for good fortune since the middle ages at least. The strongest of these stories involves St. Dunstan, who was a blacksmith. It is said that the devil once visited his Smithy because he required his cloven feet to be re-shoed. St. Dunstan invited him in, but recognizing him for who he was, he inflicted the maximum pain on the devil during the process of securing the shoes on his feet. So much so, that he managed to put great fear of horseshoes into the devil and obtained a pledge from him that he would never again attempt to enter a house where a horseshoe was displayed. The second story is more vague, as it was said that witches had a loathing for horses because they were animals of truth, honesty and forbearance, all the qualities that witches were not. As a result, witches would not ride horses and so learnt to ride broomsticks instead. It’s even more far fetched than the story of St. Dunstan and the devil, but these myths were believed hundreds of years ago, and from this came the view that a horseshoe was capable of warding off evil spirits, and so symbolizes good luck. This tradition is not that old, since the first silver sixpence was not minted until 1551 and the rhyme, whose author is unknown, only surfaced in Victorian England. However, the tradition is that the bride’s father gave his daughter sixpence to place inside her shoe on her wedding day as a representation of health, wealth and happiness. In many cases the same sixpence was then kept by the daughter for her husband to pass on to their daughter when she was married, and so in many cases the same sixpence has passed through generations of the same family. The last sixpence was minted 46 years ago, in 1967, but there are still a great many of them available for brides today! There are many other gifts that are also available as small gifts for brides, and the most common of the alternatives are hearts. Perhaps the most obvious symbol of love, these can be found in abundance. They do usually conform to similar decorative styles as their popular counterparts above, and most have a ribbon attached so that they can be hung or carried by the bride. A wedding ring will be with you forever, so you want to make sure you get the right one! Choosing the right ring may seem simpler than an having to choose an engagement ring, however there are still important decision to be made. When it comes to choosing a shape, the main consideration must be how it sits with the engagement ring. If the engagement ring is straight edged, then a traditional straight edged wedding ring will sit snugly next to it. If a you have a gemstone sitting in your engagement ring then a curved edge wedding ring should still fit nicely beside. The material will, as with shape, be determined by the material of your engagement ring. If you have a yellow gold engagement ring, then yellow gold will be the material of choice for your wedding ring. The same goes for platinum. Here are a couple of points to consider about your material of choice. Platinum - A platinum wedding ring would certainly be an extravagant choice, and a great one if you are looking for a white shiny metal. Unlike white gold it is extremely durable and doesn’t need rhodium plating. Platinum is 30 times rarer than gold and up to twice as expensive. It is used in a much purer form than gold in jewelry and is a great alternative for a wedding ring. Yellow, Rose or White Gold - Gold is still the most popular choice for wedding rings, and is a safe (but still beautiful) option to go for. When it comes to choosing a gold wedding ring there are a few things to consider. It’s important to choose a ring that is quite hard and durable, as hopefully you’ll be wearing it everyday for the rest of your life! A lower carat will be harder but also less valuable as it will have a lower content of gold. Popular choices range from 9ct to 18ct. You also need to make the choice of what color gold you will go for. Yellow gold is the traditional pure gold, however you can also choose white gold (which has a rhodium plating) or rose gold. They all have the same purity of gold, however white gold may require re-plating as the plating can wear over time. Palladium - Palladium is relatively new to the market, and is for those who looking for a similar style to platinum, but working on a slightly tighter budget. While being cheaper than both platinum and white gold, palladium polishes to a beautiful shine and is also very durable, not being prone to scratching or tarnishing. Silver - Silver is not a great option for a wedding ring. While it is more affordable than both gold and platinum there are some drawbacks that you should consider. Silver is less durable and prone to corrosion more than gold and platinum, and as such is better worn as occasional jewelry, as opposed to everyday wear. This is obviously a drawback for a wedding ring, as while it may be more affordable it may also need replacing further down the line. Wedding rings, along with engagement rings, will likely be the most important item of jewelry you will buy. While considering all the points above, most importantly you need to love the look and feel of the ring, and make sure it doesn’t irritate your skin – as your wedding ring will be with you for a long time.